Cambridge United have brought in Oxford United defender Cameron Gayle on a loan deal until January. The 23-year-old former Shrewsbury full-back joined Oxford earlier this month on an initial one-month trial. Gayle has extended his contract with Michael Appleton's side for a further two months, which he will spend on loan at the Abbey Stadium. 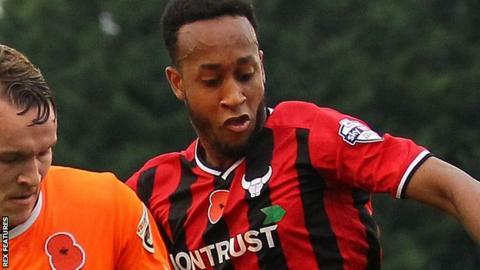 "He will add healthy competition, particularly at full-back," Cambridge United manager Shaun Derry said. "It's important every player we bring to this club on loan makes us better, and can help us with our progression. "I'm sure Cameron is capable of doing that, as he is a dynamic player who likes to get forward." Gayle has made two appearances since joining Oxford, who have agreed a 28-day recall clause in the deal.